Israeli-born bassist and composer Ehud Ettun brings his Trio to The Buttonwood Tree, 605 Main Street in Middletown, this Friday March 6. Ettun, who has recorded and toured with guitarist Assaf Kehati and has several different ensembles, recorded his latest CD, "Raw Gestures" with pianist Daniel Schwarzwald and drummer Matan Assayag in 2013, releasing it on his own Internal Compass label. Drummer Nathan Blankett joins the bassist and pianist on this short New England tour. There is a grace and beauty to much of Ettun's original music but also an intensity and playfulness that comes from the bassist's love of many different styles of music as well as the time he has spent working with saxophonist George Garzone and pianist Danilo Perez. The Trio plays its first set at 8 p.m. For more information, go to www.buttonwood.org. To find out more about Mr. Ettun, go to www.ehudettun.com. To get a feel for the Trio's music, here is a link to a 2014 concert in Tel Aviv with drummer Assayag: www.lajsiab.com/QXhHYmZwMV9TanMx. Burrage is such a great name for a drummer and Ronnie Burrage is one fine player of the trap set. He's coming to The Side Door Jazz Club in Old Lyme this Friday with one heck of a band including Jim Beard (piano, keyboards), Antoine Roney (saxophones), and bassist Gerald Veasley. This quartet will pay tribute to musicians they have worked with such as Josef Zawinul, Michael Brecker, Jaco Pastorius and George Duke. Expect the music to be funk, very rhythmical and downright exciting. The room is going to shake! The foursome hits the stage at 8:30. 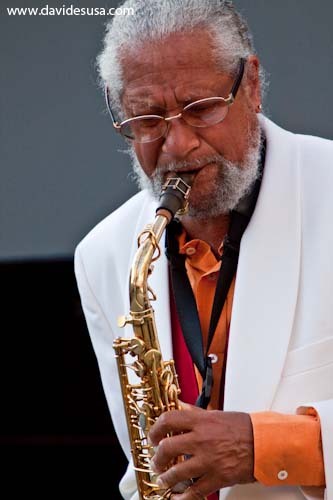 The following night, saxophonist Gary Bartz returns to the performance venue with his regular quartet of Barney McAll (piano, keyboards), Greg Bandy (drums) and James King (bass). The 74-year old alto saxophonist first came to critical notice in the mid-1960s playing with drummer Max Roach then going on to work with Art Blakey's Jazz Messengers. He started the decade of the 1970s working with Miles Davis as well as leading his own NTU Troup, an ensemble that recorded a number of fine Lps for the Prestige/Milestone label. He then made a series of more "commercial" recordings for Capitol Records and the Arista label, returning to acoustic music in the 1990s with recordings on Candid, Steeplechase and Atlantic Records. He now records for his own OYO label with his latest CD titled "Coltrane Rules: Tao of a Music Warrior" - that came out in 2012 with "Volume 2" coming soon. Bartz can play with both great fire and soul, rarely if ever wasting a note. Plus, he's a great historian with an encyclopedic knowledge of African American music. Doors open at 7:30 p.m. with the first set at 8:30. For ticket information, go to thesidedoorjazz.com or call 860-434-0886. Despite the mountains of snow throughout the Nutmeg State, spring is on the way. It just has to be...I mean, you see Firehouse 12 has just announced its Spring 2015 Concerts schedule. 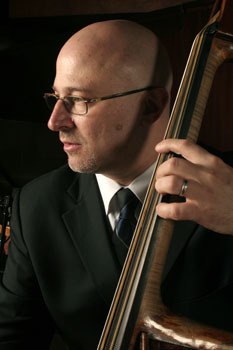 Fittingly, the 13-Friday series begins on March 20 (the first day of spring) with bassist Ben Wolfe and his Quartet. Bassist and composer Wolfe just played a sold-out show at The Side Door and brings saxophonist Stacy Dillard, drummer Donald Edwards, and pianist Anthony Wonsey (subbing for Orrin Evans) to the New Haven performance space. The following week (March 27), the focus turns to freely improvised music with the trio of Paul Flaherty (alto and tenor saxophones), Chris Corsano (drums) and Steve Baczkowski (alto and tenor saxophones). The series will also include performances by the guitar duo of Julian Lage & Nels Cline (April 17), the John Raymond Quartet with Dan Tepfer and Billy Hart (May 1), the duo of Tim Berne & Matt Mitchell (May 15) and the Rudresh Mahanthappa "Bird Calls" Quintet (June 5). You can find out more and buy a season series ticket or single-show tickets by going to firehouse12.com.